The Summer 2016 Olympic Games took place in Rio de Janeiro earlier this month and millions of people all over the world watched the most talented athletes compete for their countries. Olympic athletes exemplify hard work, determination, passion, and discipline. Olympians are great examples and role models to inspire anyone who has fitness goals that they are trying to reach. Here are a few classes that your gym or fitness center can implement so your clients can feel like an Olympian. Boxing is a great workout that provides a combination of strengthening the upper-body, developing stronger hand-eye coordination, and balancing body composition. This workout also provides a strong level of self-confidence as USA Olympic Boxer, Claressa Sheilds, discusses. Boxing is a great training session to suggest to athletes in your gym who are working on raising their self-confidence, along with developing a strict routine in their daily lives just like an Olympian. While it might be difficult for many people to actually get out on the water like the olympians, that’s not the only way to try rowing. Indoor rowing has become the hot new trend for fitness studios in 2016. 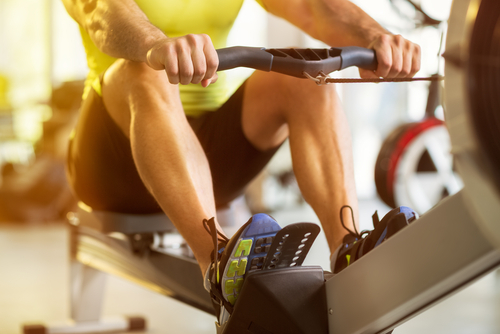 Indoor rowing can improve posture, cardio endurance, and strengthens the entire body. Consider adding more rowing machines to your gyms to your machine and offer a group rowing class. With your trainer as the coxswain, you clients will feel like Olympians in no time. Not many people could ride a bike for 250 km like they do in the Olympics but that doesn’t mean cycling isn’t a great way for your clients to get their blood pumping. Offering cycling at your studio provides athletes with leg strength training and cardiovascular endurance. As a low-impact exercise, an athlete’s knees and hips are strengthened without the stress caused by impact that occurs in exercises like running. While most of your clients will never become an Olympian, you can still give them the chance to feel like they are a part of the games. For more helpful tips to run your fitness center, follow SinglePlatform on Twitter, Facebook, and Instagram.